In stock 5 Volt 1.5A AC Switchmode 7.5 watt miniature regulated power supply, double isolated, with 5VDC output with cUL and ROHS from PowerStream, 5.5 x 2.5mm barrel plug and 3.5 x 1.35mm barrel plug and 3.5mm 1/8" audio style versions. This is a tiny, high quality, switchmode regulated power supply with stable output, 5 watts (actually now upgraded to 7.5 watts) continuous and double insulated. It has a fixed AC plug as shown for USA. 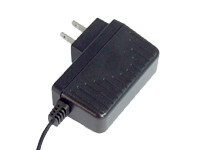 It is so small that it can fit side-by-side in any wall plug or any power strip. This is a perfect replacement for the Roku Soundbridge power supply. Input Voltage: Input Voltage: rating 100-120VAC (this switchmode power supply is unusual for the limited range of approved input voltage). NOTES: (1) Nominal input, full load, and +25°C unless otherwise specified. 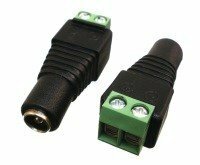 (2) Load regulation is measured at 100Vac or 120Vac in percentage to indicate the change in output voltage as the load is varied from half load to full load (±%). 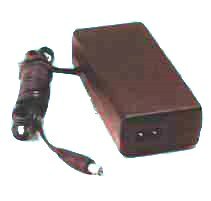 Universal input switchmode power supply with fixed 5 volt output voltage at 1.5 amps.